Getting Your Credit Back on Track There are many things that can affect your credit without you realizing it. The apartment/house you moved out of. Always talk to the owner/manager of the property once you have vacated the premises. Is everything up to their expectations? If not what can be done to make things right? Even if you don't have the extra money to settle up any differences the owner/manager may work some type of payment plan out with you to keep your account in good standing with them. Apartment complexes/landlords are one of the top reporters of unsatisfied accounts. Communication can many times save a lot of problems down the road. Many people have negative marks on their credit reports for amounts less than $100.00 this alone could prevent you from obtaining a line of credit if it is fairly recent or shows up after a bankruptcy. Most states now report delinquent child/spousal support to the credit bureaus. If delinquent child/spousal support payments are delinquent it can take any where from 90-120 days after you are current on them for them to reflect that payments are up to date. However your credit report will show your delinquency for approximately two years or maybe more. Outstanding tickets and traffic violations can also show up on your credit report. Insufficient Funds- Checks that did not clear the bank can and most times will show up on a credit report if the account was turned over to collections. Starting To Rebuild Here are few ways you can start establishing or re-establishing your credit. If you have accounts currently open make sure you keep them in good standing and if possible pay more than the minimum payment. If you are in financial trouble communicate with the creditor and be honest with them about how much you can pay towards your account each month. There are tools online that can help you to keep your budget in prospective, Nations Car Loans has a interactive budget that is free for you to use and print out. Apply for a small loan from your bank or credit union. Explain that you have experienced credit problems in the past and are serious about rebuilding your credit. If your credit problems are severe don't take it personal if you get turned down. Think about it from the credit providers side for a minute. What guarantee do I have that this person is sincere about re-establishing his/her credit. There quite simply is the answer to your question. Take the risk out of it for the credit provider, for example if the credit provider is your local bank, if you open a savings account with $100-$200 dollars in it. Explain to your loan officer that you have no objections to him putting a hold on this account for an equal line of credit. You have now shown the first commitment to the loan officer that you are serious about working on your credit. The bank wants to loan you money because it is the business that they are in, however they must minimize their risks. Apply for an unsecured credit card. This is an excellent way to start rebuilding your credit. However it does take diligence and discipline on your part once you obtain an open line of credit. A good rule to follow with credit cards is use them to show activity but don't get yourself in a situation that you are working to pay your credit card payment each month, for example, items that you would ordinarily pay cash for like putting $20.00 of gas in your vehicle. Use your credit car to put the $20.00 of gas in your car, save the money you would have spent until your credit card bill is due then use this money to pay the credit card off in full. Most credit cards do not charge interest if you pay the account off each month but this is something you need to investigate in the credit card providers contract. Always pay your credit card payment before it is due. One thing to keep in mind is, if you have for example a $300.00 credit limit don't charge up $300.00, only charge up to half of the available credit. This will show over time that you are managing your money. In the event you cannot qualify for an unsecured credit card there is nothing wrong with obtaining a secured credit card. A secured credit card works on the same principal as the bank loan discussed earlier. You are only eliminating the risk for the credit grantor, but you will achieve the same results in the end as you will with an unsecured credit card. In most cases after approximately 12 months of regular payments you will qualify for an unsecured credit card. 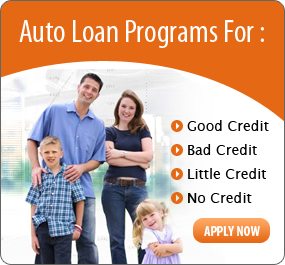 AZAutoLoan.com has provided the information above for educational purposes only and the content herein is not intended to take the place of professional finance/credit services. AZAutoLoan.com takes no responsibility for financial or personal losses from the use of this content.